Remember the Food Guide Pyramid? It’s, like, so last year. In its place, the government’s experts have given us MyPlate–which is basically what a lot of dietitians have been telling people for years: Fill half of your plate with fruit and vegetables and divide the other half between protein and grains. But of course it’s a little more complicated than that, since you could fill your plate with French fries and a greasy burger on a white bun and still squeak by on a technicality. 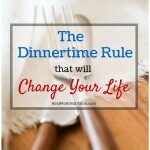 Which is why MyPlate for Moms, How to Feed Yourself & Your Family Better is a great guide. 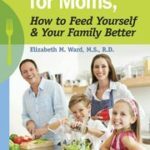 Author Elizabeth Ward–rockstar dietitian and mom of three who has written a bunch of nutrition books and recently appeared on “The Dr. Oz Show”–shows you exactly how to build a healthy plate for you and kids. 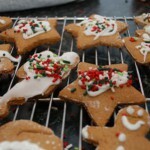 She also includes more than 50 family-friendly recipes for dishes like Chocolate Chili, Tilapia Tacos, and DIY Ranch Dressing. 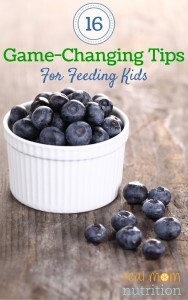 If you’d like a chance to win a free copy of MyPlate for Moms, “like” Real Mom Nutrition on Facebook (go here) AND leave a comment after this post telling me your favorite quick dinner that your kids also love. The giveaway will end Thursday at midnight. While the pasta is cooking, combine the oil, peanut butter, soy sauce, lime juice, honey and vinegar in a large serving bowl. Using a whisk, mix until smooth. Add the spaghetti, carrots, broccoli and red pepper flakes (if using) and toss the coat the noodle mixture completely. Garnish with scallions and serve. 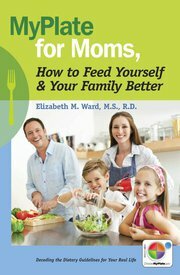 Disclaimer: I was given a free copy of MyPlate for Moms by Elizabeth Ward, who is a friend of mine. She’s also super cool and you can find her and her helpful advice on Facebook here. Frazzled? Ask Yourself This 5-Word Question. I could hardly believe when my son ate tilapia and asked for thirds. My fav easy dinner: place chicken in crock pot (can even be frozen), add a jar of organic mild salsa and one can of Eden organic BPA-free black beans (drained). Cook on low until ready. Can also add rice and water to the bottom (before chicken). Tortillas with organic, fat-free refried beans, chopped tomatoes, lowfat cheese, and salsa (and any other vegetables or lean protein I may have on hand). Serve open-faced, with nonfat Greek yogurt if desired. Easy main dish- crock pot with chicken breasts and tomatoes. Can become a dozen different things. we love grilled salmon and caramelized brussels sprouts over here! thanks for the chance! Sounds yummy! Will have to try it out! We love make your own tacos night. Yum!!! I attended a workshop on myplate.gov recently and it was really interesting. I would love this book!! One of my favorite family friendly go-to meals is black bean casserole, layered like lasagna with corn tortillas. And, you already know I luuuv you on Facebook! I liked the facebook page and my favorite meal to make is Spaghetti Squash with Herbs 🙂 It’s a hit in our house! Well, BeyondPrenatals took my first quick dinner recommendation, so I’ll go with “Quinoa Salad” which means you just cook up some quinoa, then chop up and throw in whatever vegetables are in the house along with some feta cheese, olive oil, salt & pepper! My new fav is an old Rachel Ray – basically, it’s Boboli pizza crust, thin layer of pesto, steamed asparagus (cut), diced tomatoes, and mozzerella. I leave a quarter empty to put turkey pepperoni and mozzerella for my picky three year old. Yum! My easy go-to dish is a simple sweet and sour stir fry with tons of veggies, brown rice, and chicken. My kids love it! As an Italian family, our go-to dinner is always spaghetti…my son gets to pick the pasta shape (which is always fun!) Add a little garlic bread and a tossed salad on the side and everyone at the table is happy! One of my quick go to meals is salmon patties and broccoli! 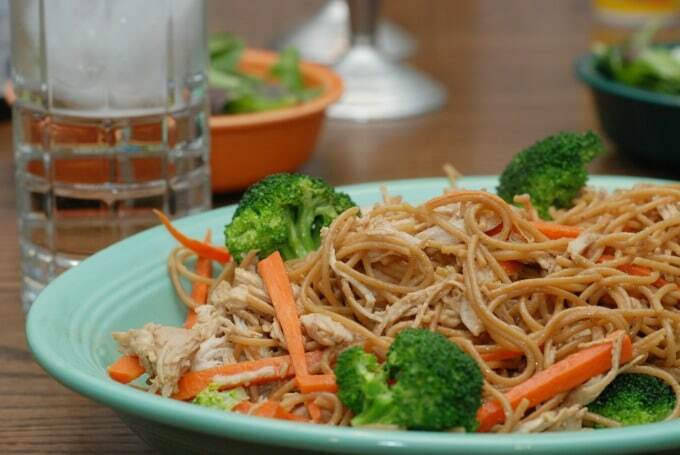 My kids love this meal and it is quick and easy to make. 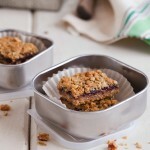 Serve it with some whole grain bread or brown rice, fruit salad and a glass of milk and you’ve got MyPlate covered! Congrats to Steph! 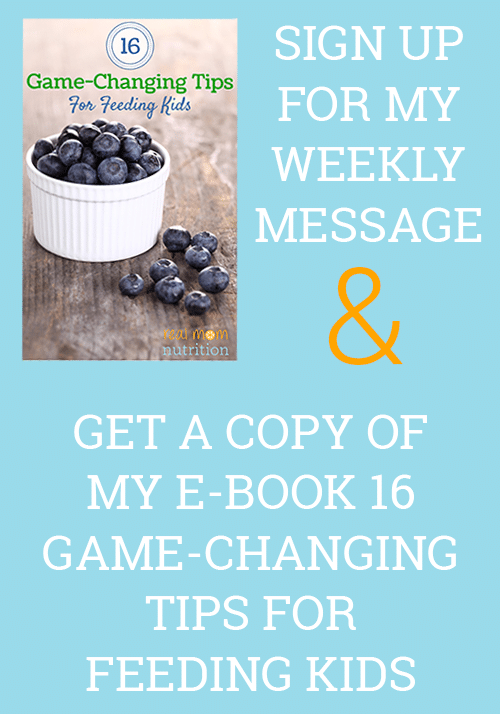 Random.org chose comment #8 as the winner of the MyPlate for Moms book. Thank you to everyone who entered and for all of your awesome dinner ideas.